BUY AT: Mysterious Galaxy – San Diego, CA and Book Carnival – Orange, CA (see “Upcoming Events” menu for local bookstore signings). “…characters with both quirks and heart …Read him for the thrill ride, but you will find yourself dwelling on the moral questions he raises long after you’re done. “Putnam’s thrilling sequel to 2014’s The Disposables finds Bruno Johnson, a former L.A. sheriff’s cop, settled in Costa Rica with his wife, Marie, and the eight abused children they rescued and took (illegally) from the U.S. Early in his career, Johnson intervened in a violent domestic case and managed to save the life of five-year-old Jonas Mabry. “Now an adult, Jonas has kidnapped two young girls and will deal only with Johnson. Johnson is unable to resist the appeal of Montclair, Calif., police chief Barbra Wicks, and returns to California to track down Jonas. Jonas proves to be a diabolically clever opponent as he runs circles around Johnson, leading him down one blind alley after another and forcing him to make desperate moves. “What do you get when you give a veteran sheriff’s deputy a talent for storytelling and a computer? In this case you get David Putnam’s ‘The Disposables,’ a dark and disturbing insider’s novel that may not make you feel safer on the mean streets of L.A. Dark, disturbing and all too believable, this is the tale of one man’s quest for atonement in a world where innocence is a liability. Formerly with the Los Angeles Sheriff’s Department and now an ex-con on parole, Bruno Johnson works outside the legal system to save children abandoned by an overburdened foster care system. With vigilante fervor, the African American Bruno rescues kids (“the disposables”) with covert assistance from his dad and his girlfriend, a physician’s assistant. In the midst of this grim scenario, things get worse–a serial killer is out on the streets torching random victims. Bruno gets involved, and it’s then that he realizes that he has seriously misjudged some of the folks he trusts. Unlikely allies emerge, and fortunately, Bruno is smart enough to recognize the shift. He may not have enough time to save those he loves the most though. 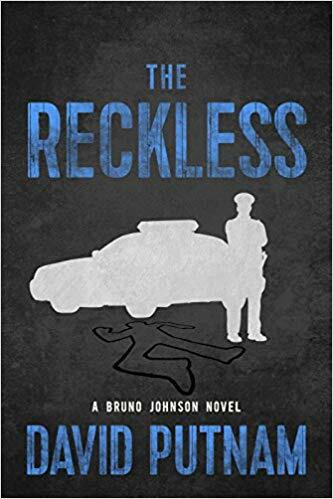 VERDICT: Nonstop action keeps the pages turning at a furious pace in this debut ripped-from-the-headlines thriller showcasing the darker side of LA County’s law enforcement. The positive Robin Hood hero contrasts with the drug culture; surprisingly mild language and most violence off-page will broaden the appeal. Think T. Jefferson Parker (Charlie Hood series) or Andrew Vachss. Putnam’s police background adds to the authenticity. Get the Bruno Johnson TRILOGY!